Most people have experienced bleeding gums at one time or another. That means it's perfectly normal, right? Wrong. It's a misconception that bleeding gums are nothing to worry about; and, contrary to popular belief, it does not result from brushing too hard. While too-vigorous brushing is indeed bad for the gum tissue (sometimes causing it to detach from the teeth), it will not make healthy gums bleed. Bleeding gums are most often a sign of gum disease. Fortunately, the condition is easy to treat in its early stages. Red, swollen and/or bleeding gums may characterize a mild form of gum (periodontal) disease called gingivitis. This is an inflammatory reaction to bacterial plaque that builds up at the gum line in the absence of effective daily oral hygiene. 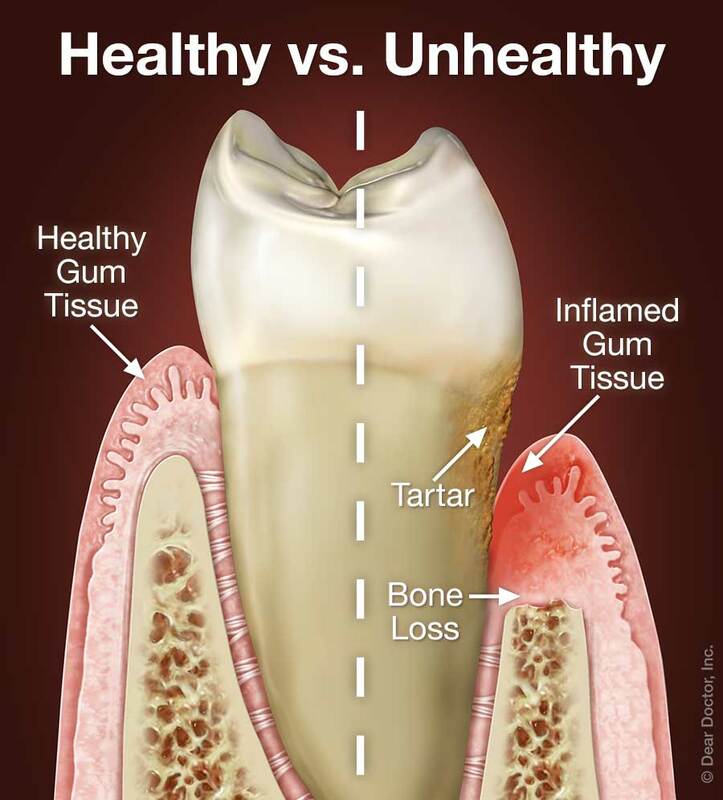 Gum inflammation is a sign that your body's immune system is trying to rid your mouth of disease-causing bacteria and promote healing of the damaged tissues. However, the tissues are not likely to heal as long as plaque remains on the teeth. In fact, the disease can worsen into a more serious problem called periodontitis, which is characterized by bone loss around the teeth. Left untreated, advanced periodontitis can result in loose teeth that may eventually be lost. Some people are particularly prone to gingivitis. Heredity can be a factor; hormones also influence the sensitivity of the gums to disease-causing bacteria. Pregnant women, for example, often experience “pregnancy gingivitis,” and adolescents going through puberty may also find that their gums are more prone to bleeding. What you should keep in mind is, the irritants in plaque are responsible for the bleeding — and they should be removed so that your mouth can return to health, before worse problems develop. If you have bleeding gums, it is a good idea to come into our office for an exam and thorough professional cleaning. This will temporarily rid your mouth of hardened plaque deposits called calculus or tartar, and other bacterial toxins that become ingrained into the tooth-root surfaces and can lead to inflammation. With this fresh start, you should then step up your oral hygiene efforts: Make sure to brush at least twice each day with a soft brush and toothpaste that contains fluoride, and floss at least once every day. Brushing by itself will not remove enough plaque to ensure the health of your teeth and gums. We can demonstrate proper techniques if you are unsure how to go about this. In mild cases of gingivitis, your body's healing response after a thorough professional cleaning may be enough to return you to good periodontal health. If not, additional cleanings or other forms of periodontal (gum) therapy may be recommended. Because gum disease has been linked to other serious inflammatory conditions, including cardiovascular disease and diabetes, it's essential to follow through on all treatment recommendations.